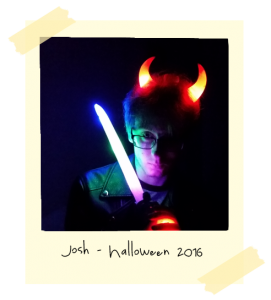 This is Josh on Halloween. Every year at the Halloween fireworks show there’s this lady who sells light up swords and glowey things that make noise. After wanting one for 3 years Josh’s dream finally came true. 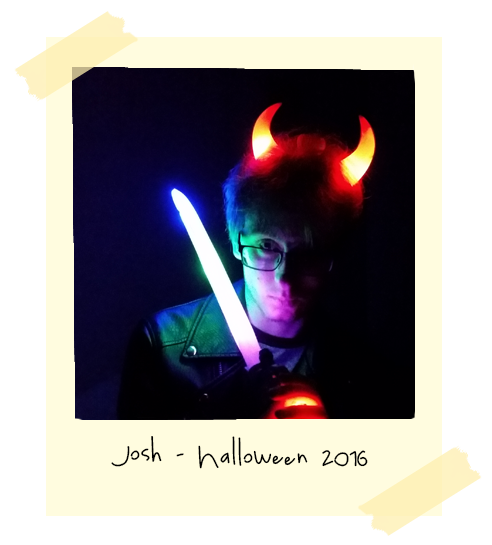 This is him with his light up sword and his light up horns.